The second album from Dislocations continue their unsynchronized approach to creating mesmerizing, melodic music infused with fascinating sound design. The Swedish/Finnish duo remain true to the structural ideas that were conceived with Dislocated Gravitation while continuing their exploration of unsynchronized sequences in electronic music improvisation. 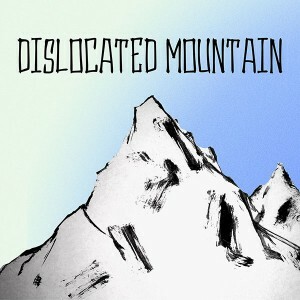 No one knows what awaits at the peaks of Dislocated Mountain. The only constant about this landscape is that everything is continuously falling apart and reorganizing itself in unexpected ways. Ideas of repetition, memory, and familiarity are apparent, yet strangely convoluted. These tracks have been edited and mixed from live recordings in late spring 2015. Mixed and mastered by Pär Carlsson @ Chaitra Music. Original mountain painted by Sebastian Galo. MP3 Download | FLAC Download | WAV Download · Download count: 5,552. That´s it. Music for dreaming. Thank you a lot. Very interesting concept! Thank you for the wonderful music. One of the greatest Ambient albums on the site. Thank you.